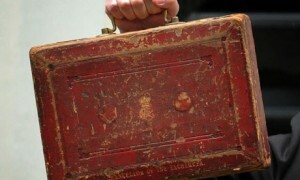 Our Budget representation puts forward five proposals ahead of the 2012 Budget. The proposals are focussed on how Government can best work with universities to lever a wealth of knowledge and resources that are essential within an innovation-based economy and competitive global environment. Our five proposals are below. The full supporting evidence backing these up can be found here. Current economic indicators suggest that there is an undersupply of graduates in the UK labour market. However, current Government policy has resulted in a reduction in university places for 2012-13 of around 25,000. We propose that Government should ask the Higher Education Funding Council for England (HEFCE) to monitor the four economic indicators identifying graduate saturation levels so that they can advise Government on the projected equilibrium point to ensure optimum student numbers are reached and maintained. Universities need to work together with Government to find long-term sustainable solutions to increase public and private investment in order to deliver the number of graduates the future labour market will require. Government and universities need to work together to identify ways of providing essential financial support for those postgraduate students that are not supported by an employer. In the short-term, the Government should confirm that they will continue to support the provision of Professional and Career Development Loans (PCDLs) and take action to encourage more banks to offer PCDLs to increase provision and encourage more competitive loan terms. We strongly support the Wilson Review proposal that HEFCE, should establish a mechanism whereby universities are incentivised to expand sandwich programmes through changes to the student number controls that it operates. Alongside that, Government should support companies that host students on full sandwich placement years through a tax credit or grant mechanism. We fully support the launch of HE Global as an online information and advice portal for HE institutions wishing to expand abroad, as announced in the Chancellor’s Autumn Statement. We would also highlight the recently published Wilson Review recommendation in this area that UK Trade & Investment (UKTI) should reconsider the role of universities in providing critical intelligence, support and ambassadorial engagement with potential investors. 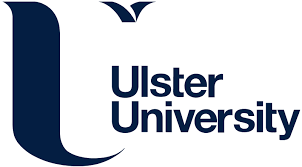 Alongside initiatives such as these it is vital that there is cross Government support for the international work of our universities and the significant number of jobs this creates. In particular, we should be minded at all times to ensure that immigration policies do not unduly restrict growth in this area. In keeping with the newly enhanced role for the Technology Strategy Board (TSB), we strongly support the Wilson review recommendation that the TSB should work with universities, research funders and business to establish a boundary-scanning capability with intelligent brokering to facilitate innovation. The January 2012 Grant Letter to HEFCE confirmed that 10,000 modernisation fund student numbers will not be consolidated and that an additional 5,000 student numbers will be removed to reduce the risk of over spend resulting in 15,000 fewer HE places. Of the 20,000 Core and Margin numbers top sliced from the sector(the vast majority of which have come out of HE numbers in universities) around 10,000 have been allocated to universities and around 10,000 to FE Colleges. The result is a further reduction of around 10,000 university places and a total of around 25,000 fewer places in English universities in 2012-13 compared with the previous year.